Otis here. I’m excited to bark about SodaPup, a fantastic brand that has durable toys in fun designs. We’re rolling over with joy to share them with you. 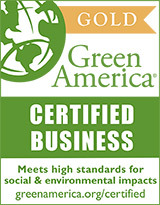 SodaPup is committed to doing business in ways that are good for people, the planet, and your dog. They’re a perfect fit for our mission as a company. We’re always on the lookout for products that are sustainably made. SodaPup toys are made from natural rubber, which comes from rubber trees. Rubber trees grow best with high heat and humidity, so they thrive in equatorial climates. The trees exchange carbon dioxide for oxygen, of course. Rubber tree farmers are major players in good stewardship of our natural resources. Since we do most of our play with our mouths, it’s important to pet parents that our toys are non-toxic. SodaPup’s non-toxic, American-made toys reduce human worries about doggos accidentally ingesting poison from toys. SodaPup offers three different chew strengths. Puppy rubber is durable but a little softer for teething pups or older dogs. Average chewer is tough yet stretchy enough for most dogs. Magnum is made for the heavy-duty chewer. Rubber toys keep pups entertained with their bounce and durability. However, not all rubber toys are made alike. Some fillers like clay and silica are typically added to many rubber toys to save money, meaning there’s less actual rubber in each toy. Filler decreases tear strength, so many rubber toys don’t hold up to very much play. These tough toys from SodaPup can withstand many of the strongest hand-mouths because of the high rubber content. Here at Chopper & Otis, we love doing good deeds. We regularly donate toys to shelters and rescues, spreading joy to dogs who could use some fun and games. SodaPup also believes in sharing the love. They donate cosmetic seconds to shelter pups. Made with same standards and quality as their shoppable toys, these cosmetic seconds provide shelter pups with delight. I’m over the moon to have SodaPup in our shop (especially because I’m a big fan of Rocket Man)!